I haven’t posted anything for the last two weeks because our family went to Elverum, Copenhagen, Stockholm, and Oslo for two weeks vacation. 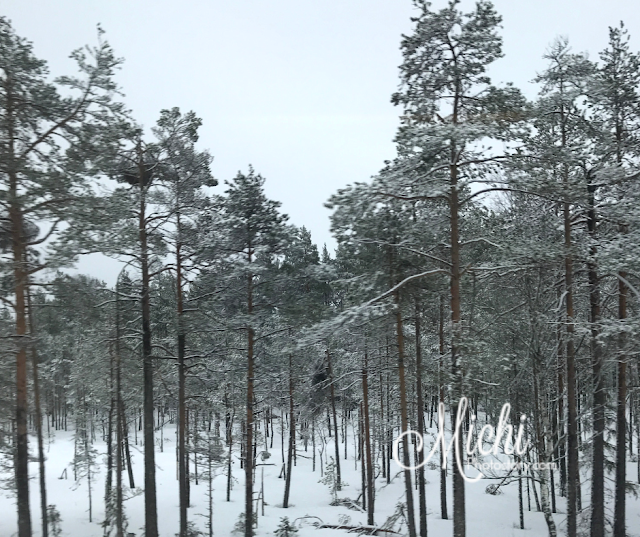 Honestly, I have so many travel stories to share but I don’t know where I’m going to start. 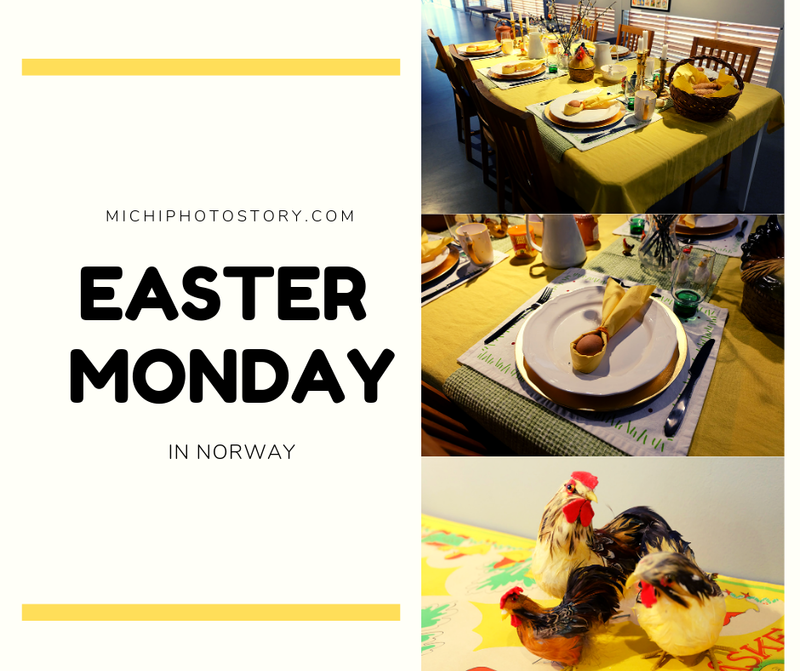 But before I share our Scandinavian trip, let me start with Easter Monday. Yes, you’ve read it right “Easter Monday” (Påskedag), if you remember this post, I mentioned that Norway has 5 days Holy Week holiday so from Thursday to Monday, there are no work, school classes and expect that malls, supermarkets, banks and even the majority of the restaurants are closed. There are also changes in transportation schedule so it is hard to travel during Holy Week. Some stores are open for limited hours during Black Saturday. When in Norway, you will notice that every Easter, they will also decorate their homes. Yellow is the color of Easter and you will see a lot of chickens, Easter Eggs and Easter bunnies. 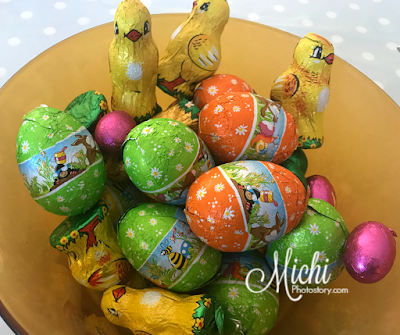 Kids receive Easter Eggs filled with candies, chocolates or small treats. My son was able to decorate his own Easter Eggs when we went to Glomdal Museum in Elverum. 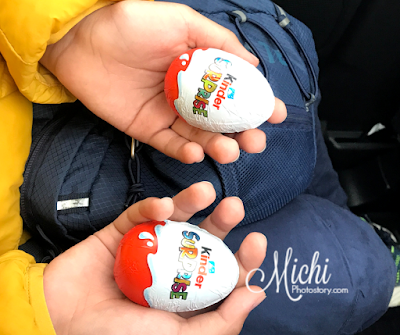 My aunt also gave him Kinder Surprise Eggs. Since Monday is still a holiday, my aunt invited us for dinner. 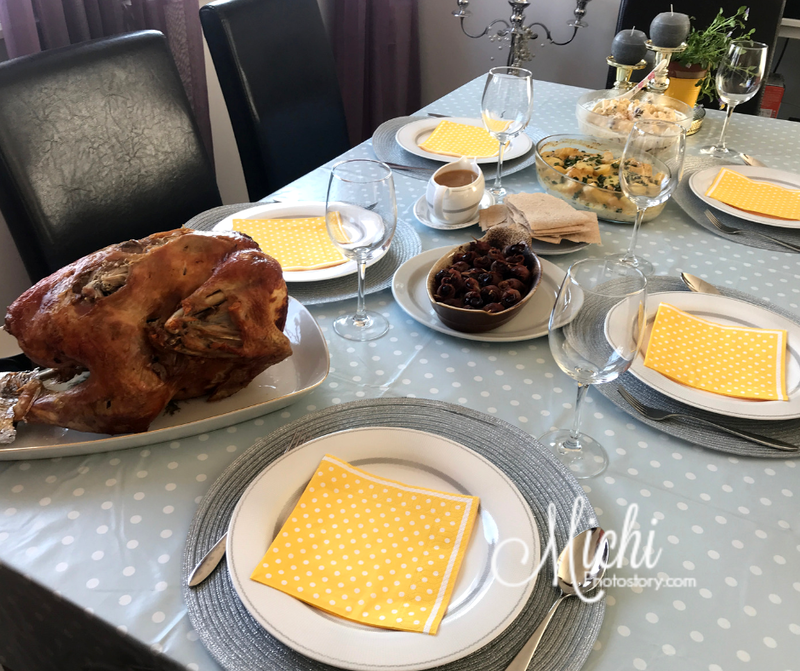 My uncle prepared Turkey, Potato, Salad, Bacon Wrapper, Fresh Orange Juice and Ice Cream for dessert. 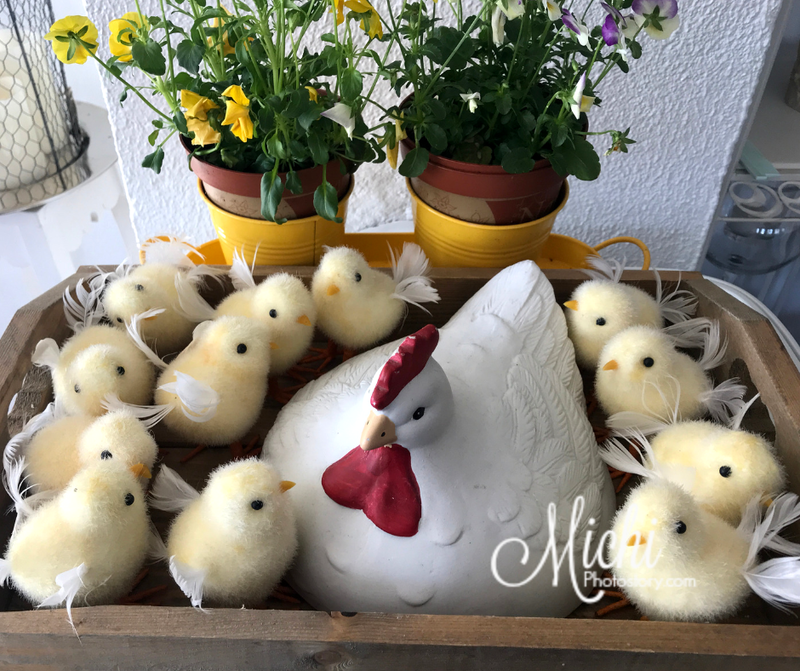 I noticed some Easter decorations too like chickens, bunnies, and eggs. The weather was good so we enjoyed our Easter Monday celebration but part of me was worried too because of the earthquake in the Philippines. 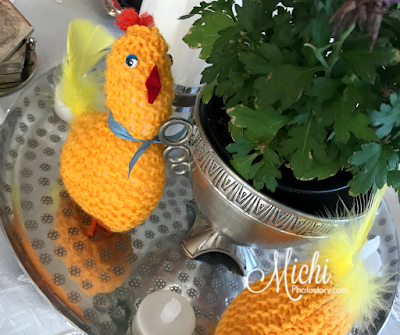 While preparing for Easter Monday dinner, my husband and my friend messaged me that there was an earthquake in the Philippines. And I when I opened my social media account, I’ve seen a lot of status about earthquake but what caught my attention is the photos and videos of Clark International Airport. 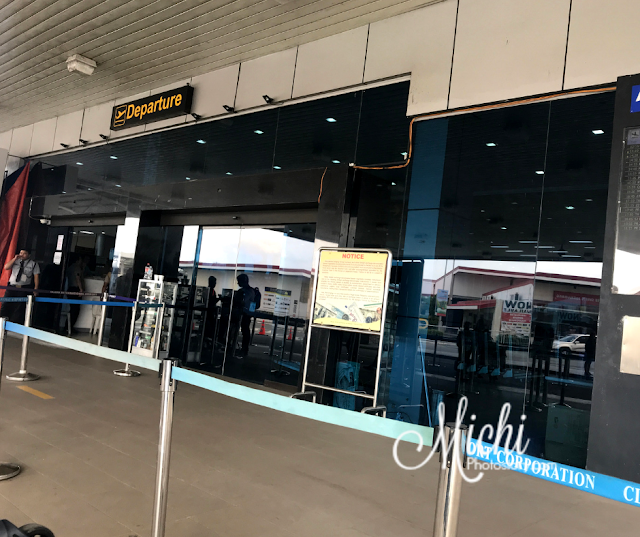 Nagoosebumps ako because few weeks ago, nasa Clark Airport din kami and day before the earthquake happened, my husband arrived at Clark Airport. 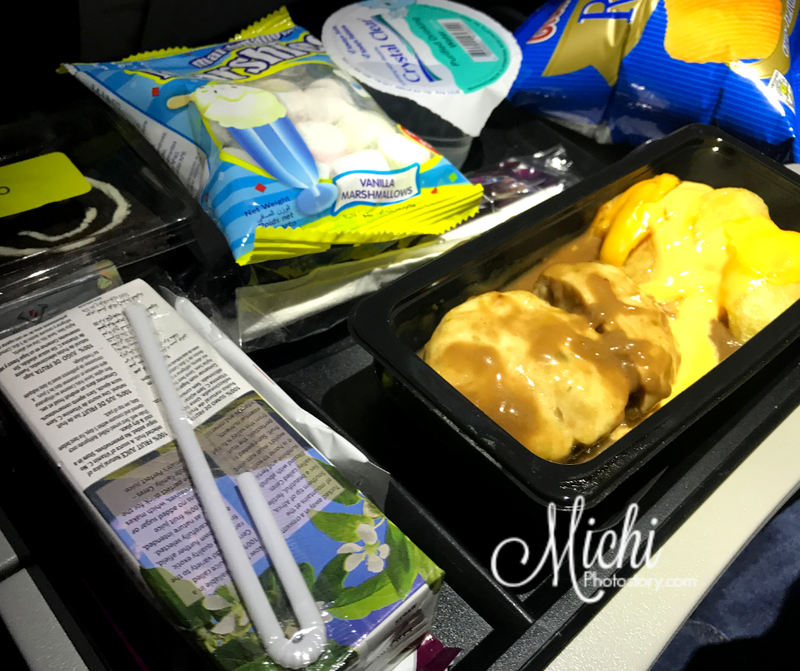 I remember, I even suggested to my husband to stay in the hotel na lang near the airport so hindi siya mapagod pauwi kasi for sure traffic sa Pilipinas at Easter Sunday so uwian ng mga tao. But my husband wanted to go home na, buti na lang hindi niya ko sinunod so wala na siya sa Pampanga nung nag-earthquake. 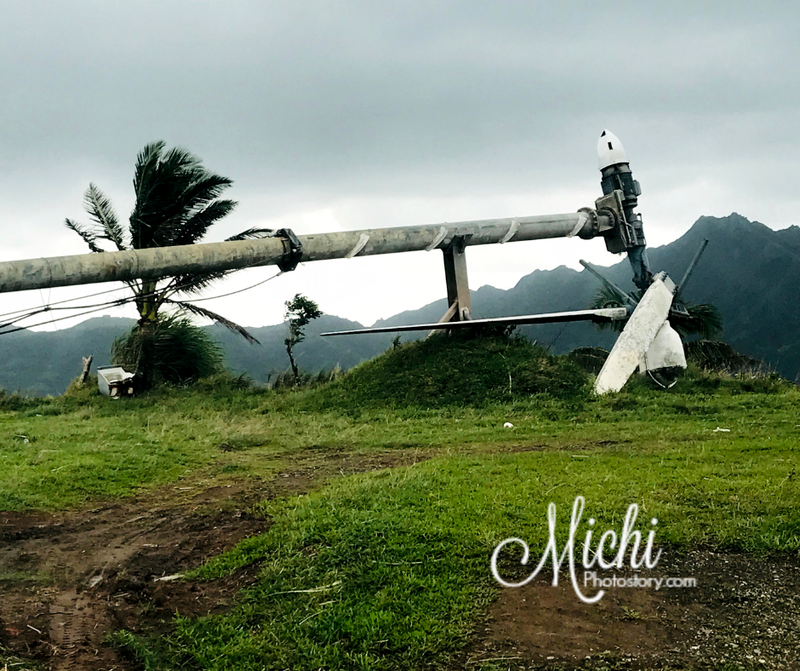 I was thankful for God’s protection, my husband, family and friends are all safe naman. 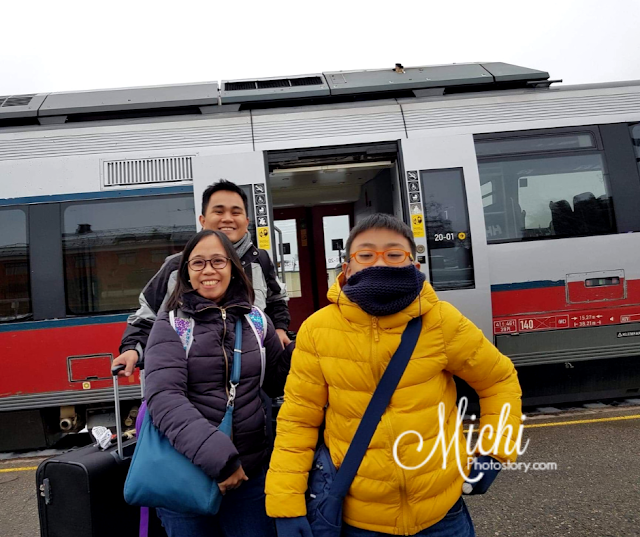 Nakakaparanoid whenever I see the photos of CIA, I can’t imagine kung ano gagawin ko if we were there, yung time kasi ng earthquake, yun din ang time na waiting for boarding or waiting for baggage kami. We all know that going to Europe is not cheap but there is nothing impossible if you want to fulfill your Europe Dream. Yes, you can still find affordable airfare to Europe especially if you are going off-peak season. 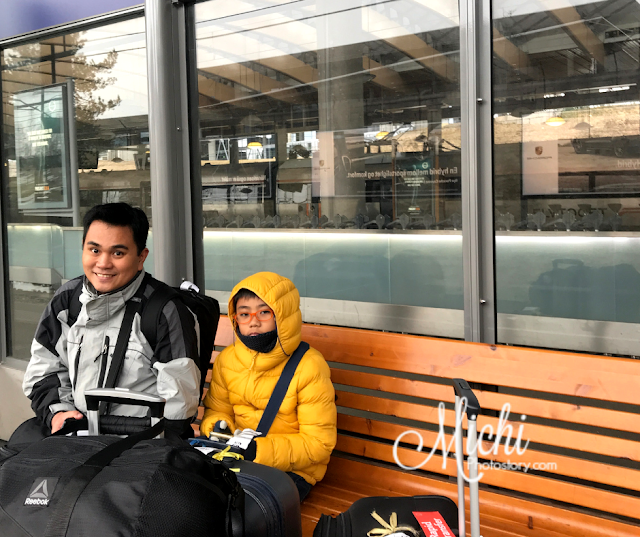 When we went to Norway two years ago, there is no cheap plane ticket because we bought our ticket 5 weeks before our trip. In addition, there is no seat sale from Manila to Trondheim flight. This year, we applied for our Schengen Visa in January and we got our visa/passport after 5 days. Then we went to the Philippine Travel Tour Expo and look for cheap airline tickets. 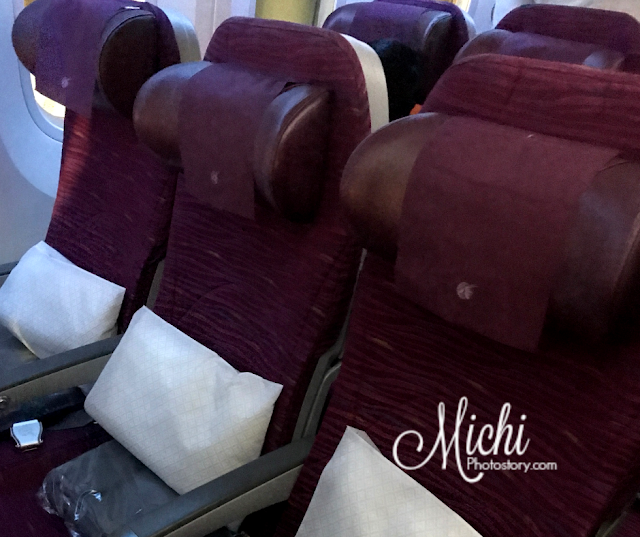 There was seat sale but the price varies too, it depends on your travel date. Since we are leaving during summer vacation, the price is a little bit higher. 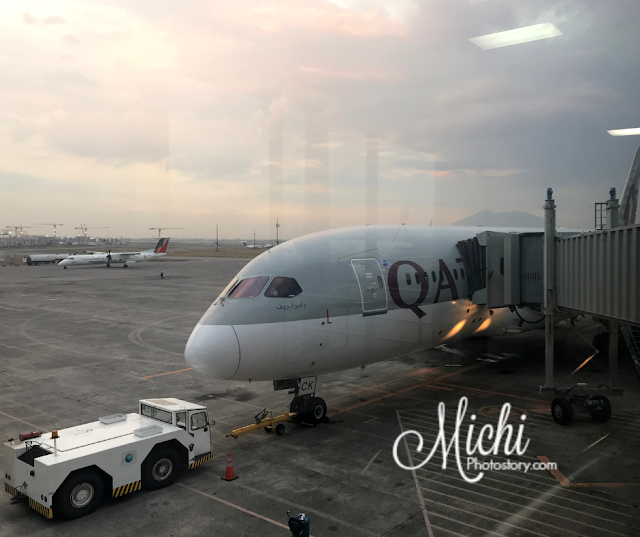 We inquired for Manila - Oslo - Manila, and Clark - Oslo - Clark flight and we decided to book the latter. We only inquired at Qatar Airways and Emirates because other airlines do not offer Oslo flight. Qatar Airways is much cheaper and they also provide Free Shuttle Bus from Trinoma to Clark Airport. Fast forward to our trip, off we went to Clark International Airport. Checking-in was smooth and the flight is on time. 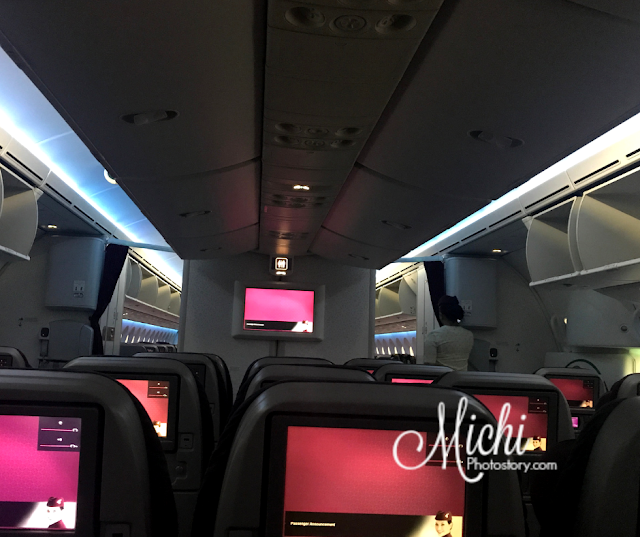 This was our first flight with Qatar Airways and so far we are happy with our first experience. They have free 30 minutes wi-fi but I couldn’t connect. Qatar Airways provided a travel kit, the kit includes socks, eye mask, ear plug, toothbrush, and toothpaste. There is already a pillow, blanket, and headset on our chair. And of course, we have our own flight entertainment to keep us busy for our 10 hours flight. 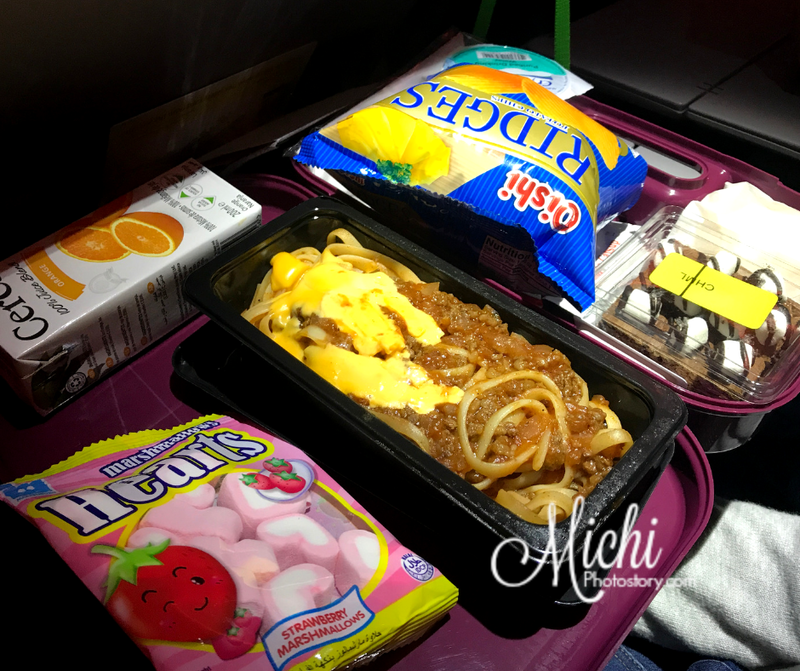 Aside from that, my son has his own travel kit too na wala sa Philippine Airlines or Thai Airways. Qatar Airways provided a menu too so we know what to eat and drink. 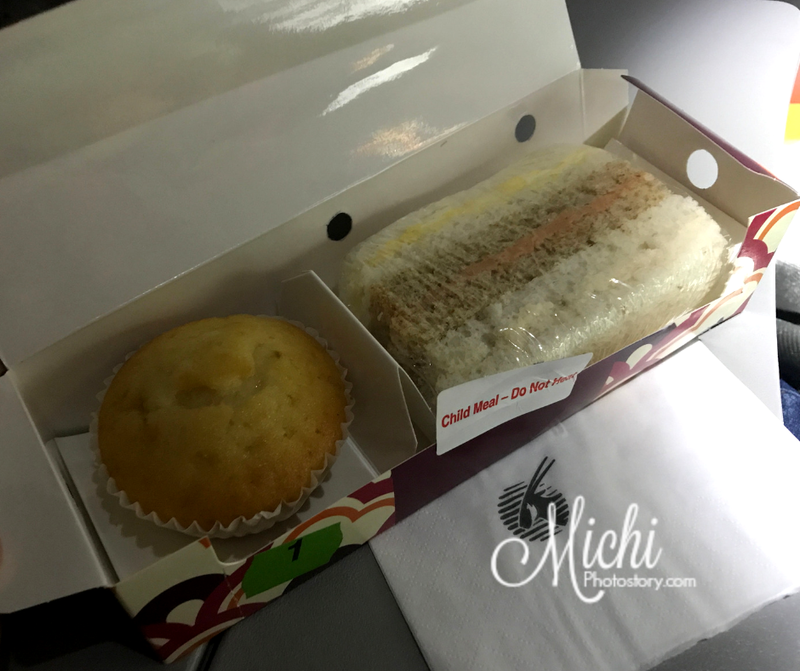 They have more options too compared to other airlines that we have tried. For our 10 hours flight, we have two meals. 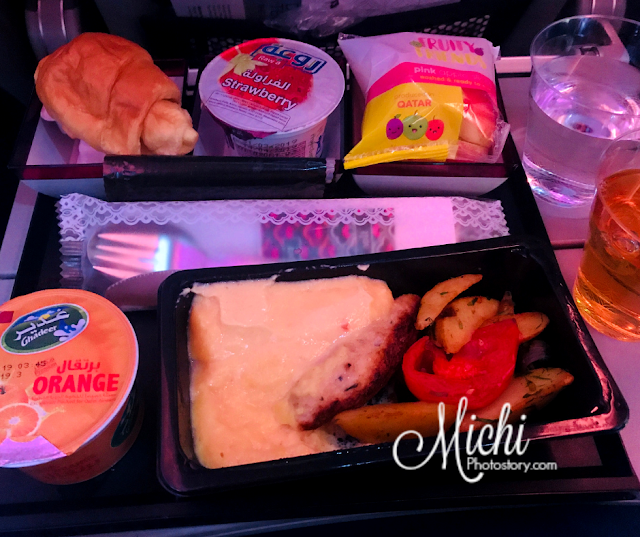 I appreciate the menu because it gives me an idea on what beverage is available for Economy Class flight, so hindi lang pala softdrinks or juice ang pwede. Madami naman pala choices. 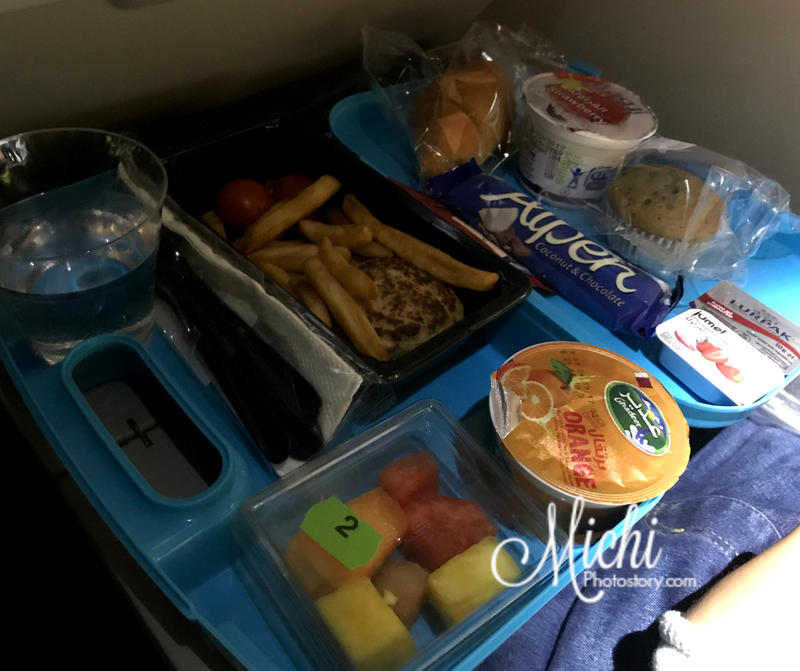 Before our flight, I ordered for Child’s Meal so my son has his own food. They serve the kid’s meal first and they have more foods than adults. What nice about their kid’s meal, they have their own snack box that we can take home. So if you have babies, toddlers or kids, don’t forget to pre-book child’s meal, I just modify my booking online. No extra charges for that. If you fail to order, the staff will just ask you to choose from the menu so they can serve it ahead of time pero same lang siya sa adult meal. 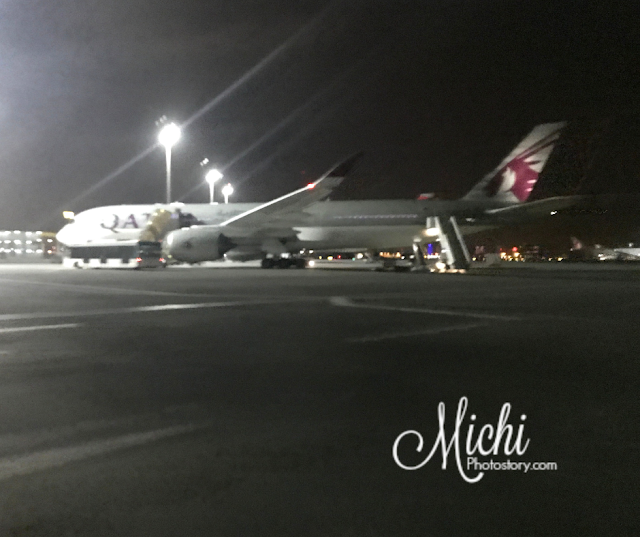 After ten hours, we landed at Hamad International Airport in Doha Qatar. Disembarking is quite slow because we need to take the bus. 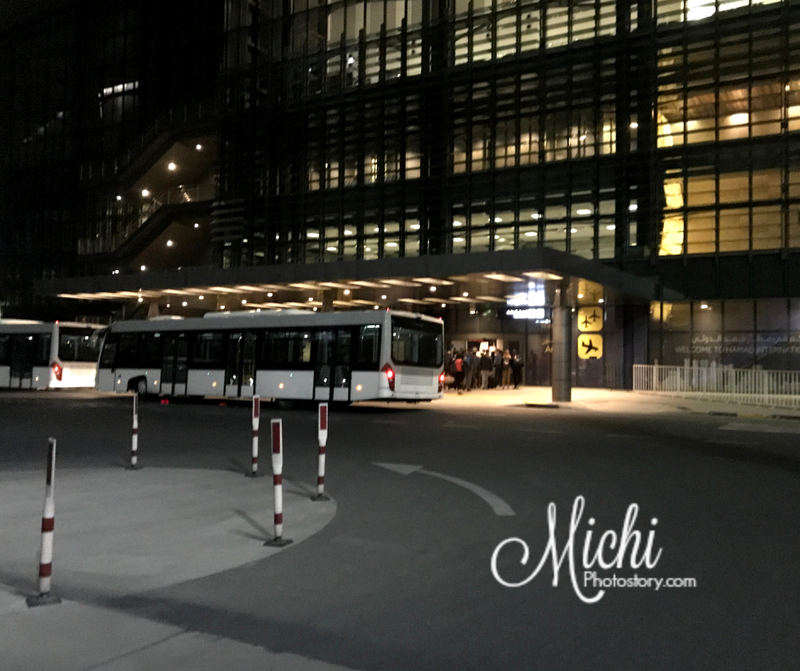 From the time we landed, it took us more or less 30 minutes before we reach the airport building. I think we were one of the last passengers who rode the bus. It was the longest bus ride that I’ve experienced inside the airport. 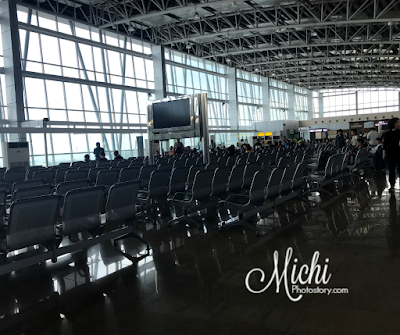 Upon arrival at the airport building, we went straight to transfer gates, pag-akyat pa lang ng escalator, nandun na agad yung screening. Since we are in a hurry, we forgot that my son has 2 Tetra pack juices in his bag (from kid’s meal) and it is not allowed because the liquid content is 200ml. 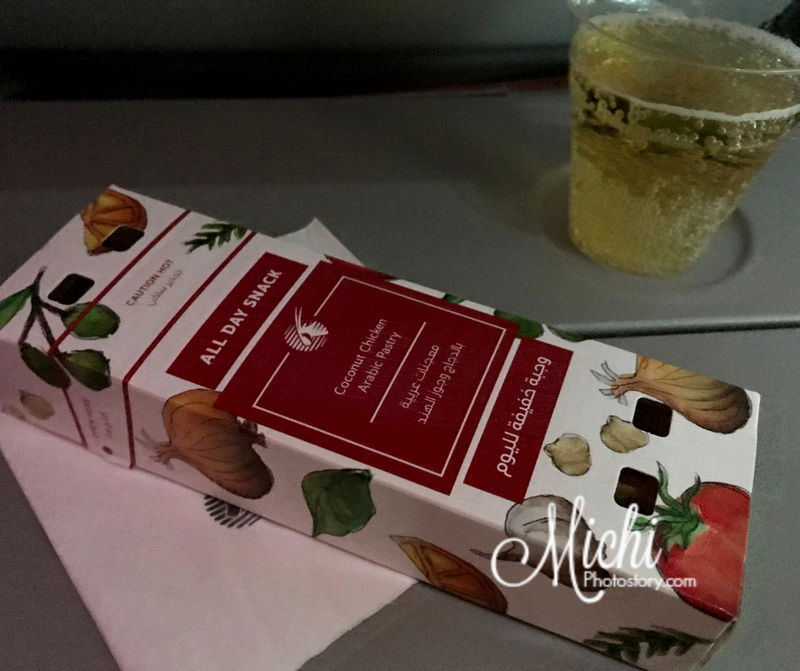 The airport staff said, we can drink the juice but I decided to leave it to avoid the cause of delay. Nawalan tuloy kami ng drinks while waiting at the boarding gate. Hehehe! Qatar Airport is beautiful, too bad that we were not able to explore the airport since we only have limited layover. 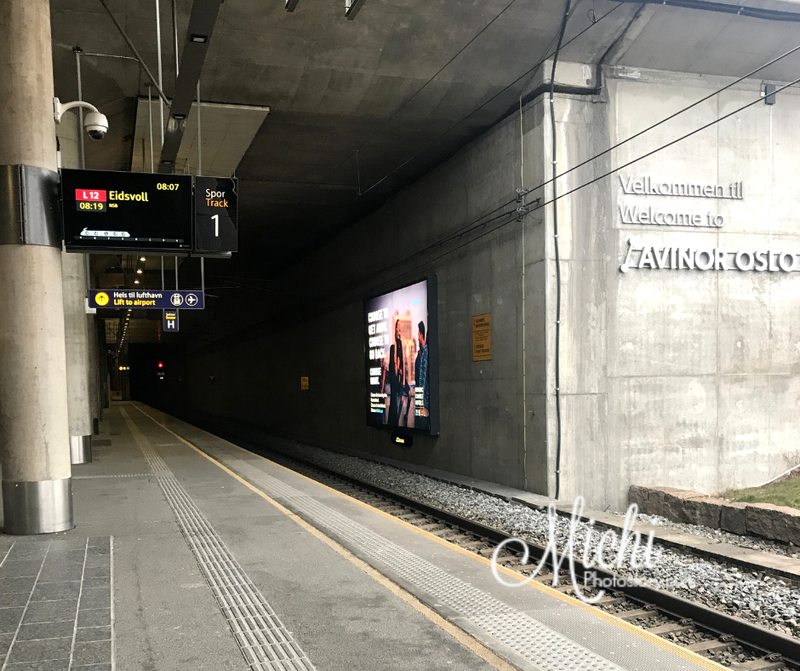 They have a train inside the airport, we rode the train to reach our boarding gate. By the time that we reached the boarding gate, hindi pa man kami nakakapahinga ng matagal, boarding na agad. We took the bus again to reach the airplane, so umikot lang kami. Airplane - Bus - Train - Bus - Airplane. Sobrang bilis ng layover namin. 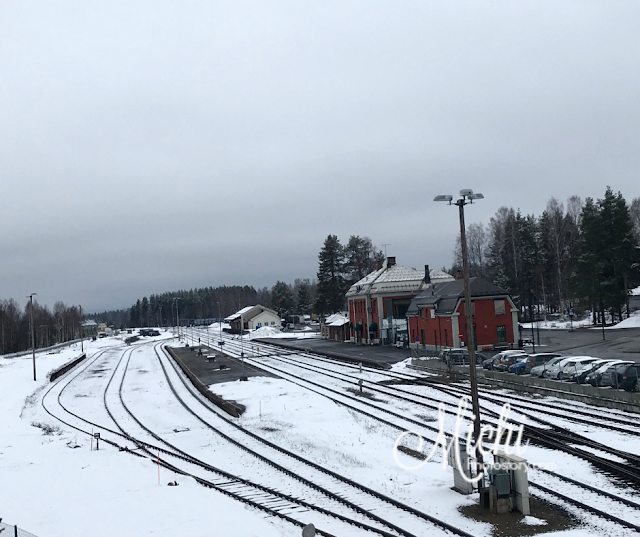 Boarding is on time but the plane took off after 30 minutes, good thing that we still arrived on time at Oslo Airport and we were able to catch our train to Elverum. 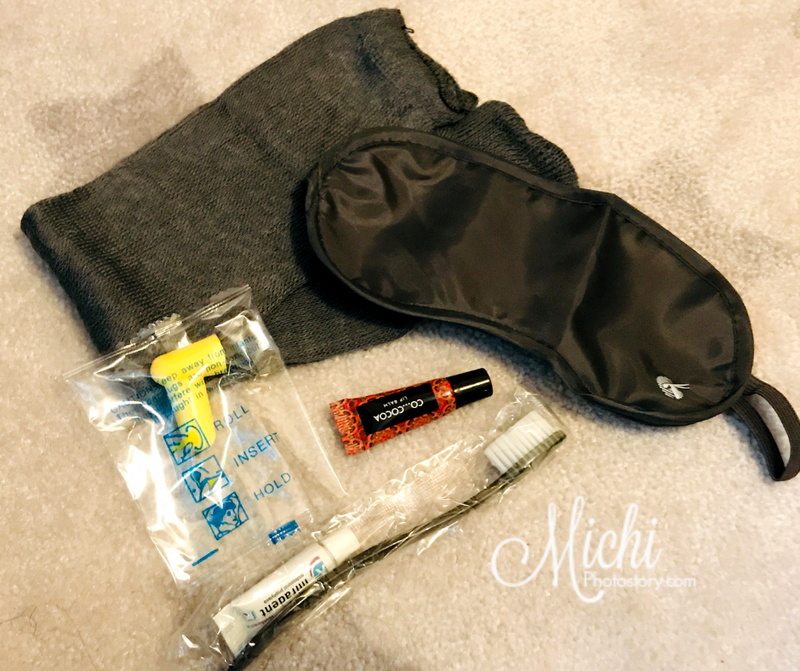 For our 6 hours flight, we have a travel kit again. 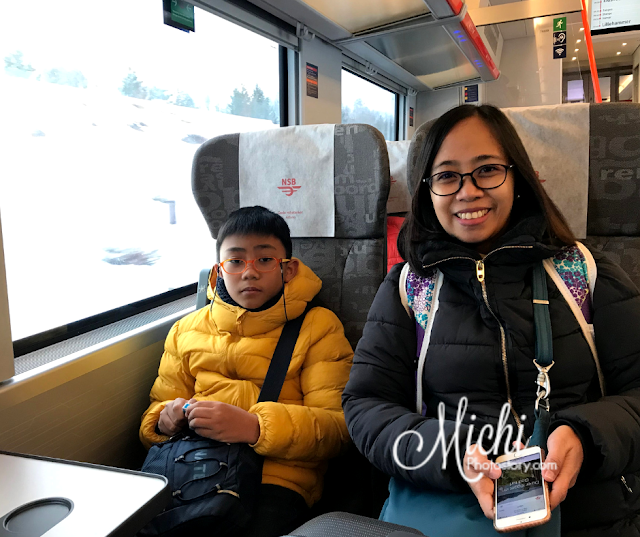 But we did not receive any flight entertainment for my son, I don’t know if they have that since wala kasi ko nakita na binigyan na kids or I should ask for it. 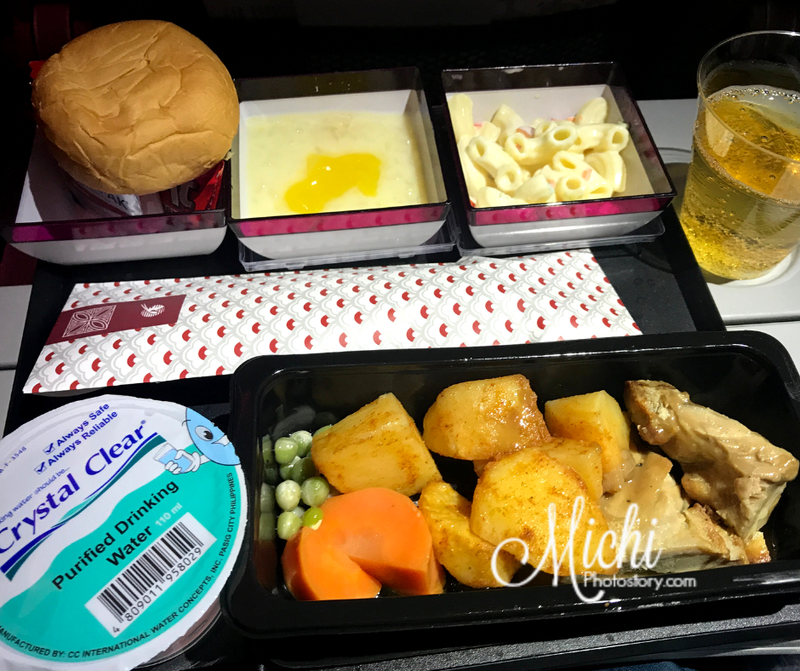 Anyway, they gave us again the menu and I was surprised, 2 meals pa rin sa 6 hours flight. 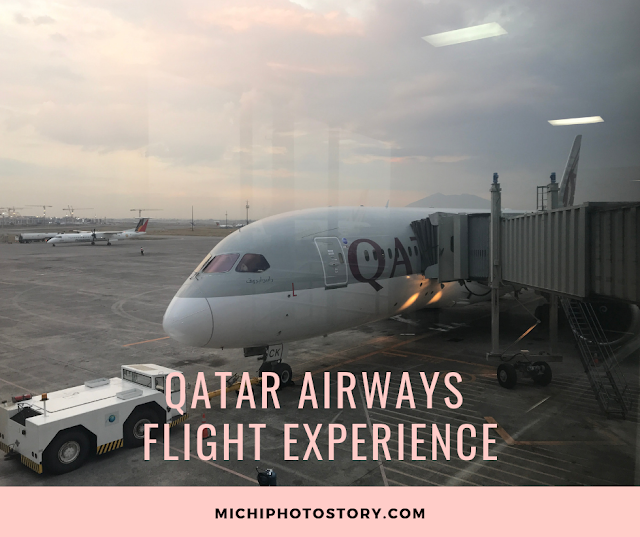 One thing I noticed, marami Filipino flight attendant sa Qatar Airways so mas masaya kasi hindi na nosebleed if we need to ask anything. I will just update this post for our Oslo to Clark experience. 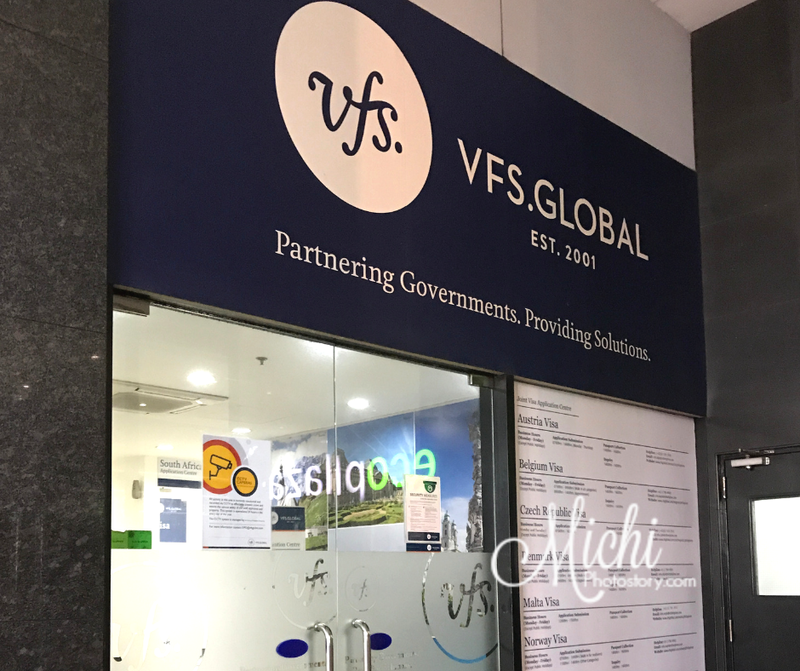 Applying for a visa is a nerve-racking experience especially if this would be your first time or if you are not a frequent traveler. I always feel nervous every time I applied for a visa and fortunately, all my visas were approved. I feel happy even they only give me a single-entry visa, it is better than a visa denied. Few months ago, we applied for a Schengen Visa via VFS Global Norway and I’m the one who claimed for our passport. 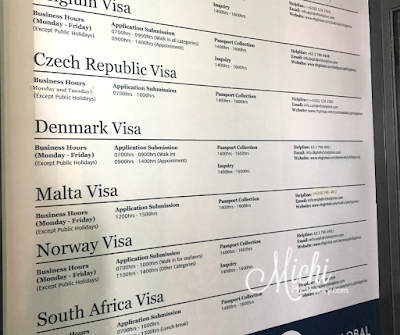 The staff gave me the envelope and advised me to check the information so I opened the envelope and immediately checked the Visa Sticker. It is very important to check if all the information is correct. 1. Check if your name is spelled correctly. 2. 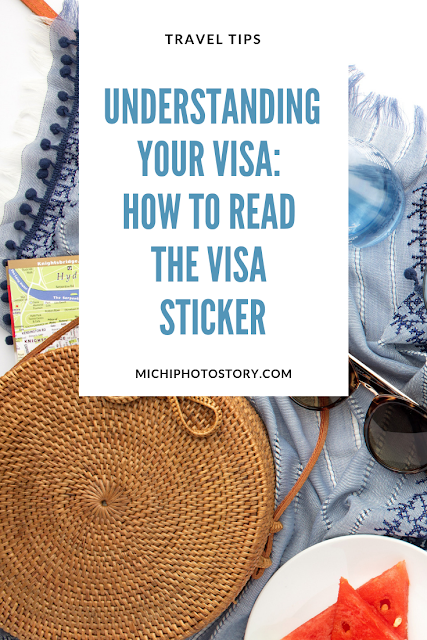 Check if the passport number in the visa sticker is the same as the one in your passport. 3. Check if the plane ticket or reservation corresponds with the entry and exit date indicated on the visa sticker. 4. A visa is issued for one, two or multiple entries, in accordance with the document need for entries. * If you plan to leave and re-enter the Schengen area during your stay, you will get a visa with two entries. If you have documented a need for multiple entries during the validity period, your visa is issued multiple entries. * If the information regarding your name, passport number or travel period is wrong, please inform the Embassy immediately, so that any errors can be corrected. Duration of Stay - DAYS indicates the number of days you may stay in the Schengen area. 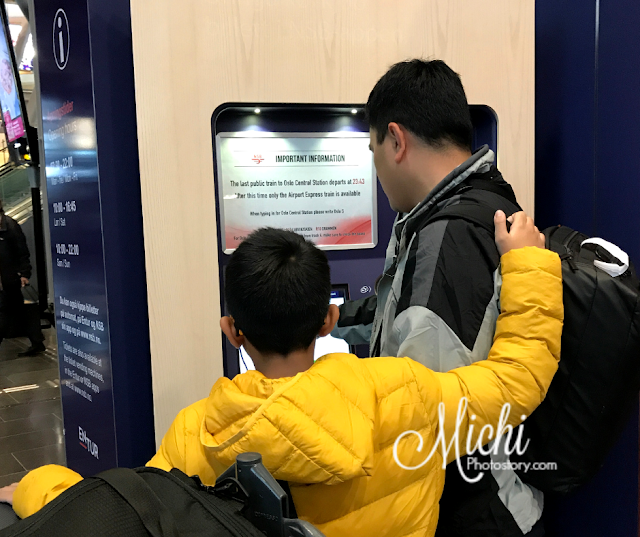 The days should be counted from the date you enter the Schengen area (the entry stamp) to the date you exit the Schengen area (exit stamp). * Based on my visa sticker, I applied for 60 days and they gave me 60 days. The period of time between ”FROM… UNTIL” is usually longer than the number of days printed in the “DURATION OF STAY” field. The difference in period is meant to give you the flexibility to plan your entry into and exit from the Schengen area, but your stay in the Schengen area must never exceed the exact number of days in the “DURATION OF STAY….. DAYS”. No matter how many days yo have stayed in the Schengen area, you must leave no later than the date printed in the “UNTIL” field. * Based on my visa sticker, they gave me 75 days from the day of my flight. 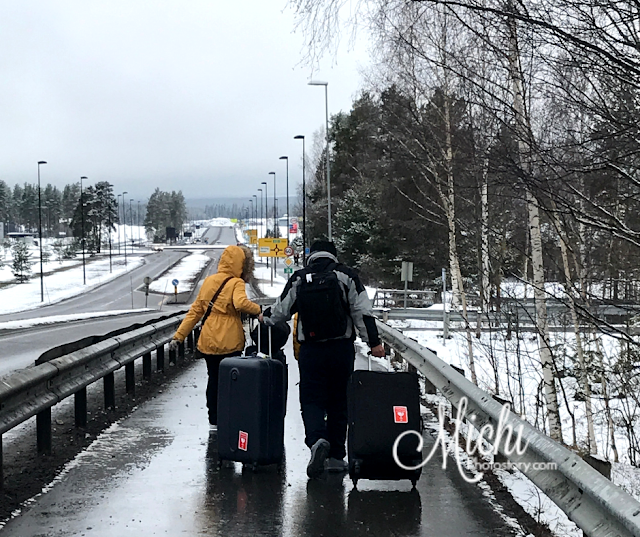 You short-stay visa allows you to travel to the Schengen States, but the final control of the entry conditions is done when you cross the Schengen border. A visa does not automatically entitle you to cross the Schengen border. It is therefore recommended that you carry with you the copies of documents which you presented when you applied for the visa ex. Invitation letter, travel confirmations, or other documents stating the purpose of your stay. This will help to make the border control procedure easier and avoid delays at the border. * I agree with this because, on my third visit to Norway, the Immigration Officer asked for my Invitation Letter and Return Ticket. For my two visits, IO only asked me about our purpose and how long are we going to stay and she stamped our passport but on my third visit, she asked for documents. So it really depends on the IO, it is better to be ready with your documents to avoid delays and long lines. Note: You must follow the period of stay allowed by your visa. If you need to stay longer, please contact the local police for further advise well in advance of the visa expiration date. Persons who wish to stay longer than 90 days during any period of 180 days should apply for a residence permit from the Philippines. 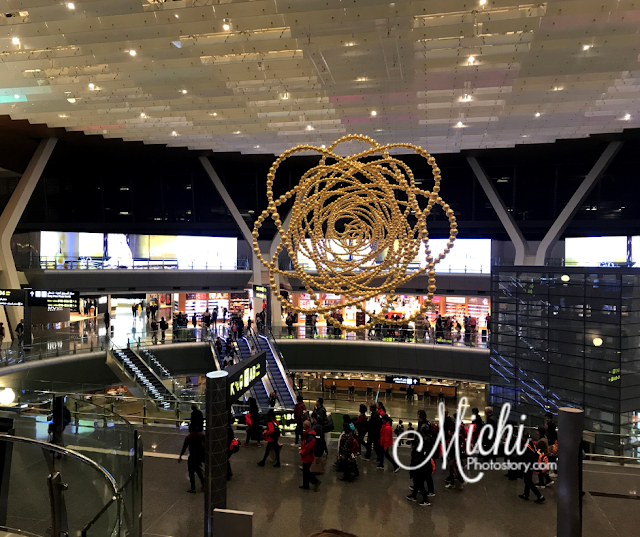 If you apply for a residence permit while in the Schengen area, this deemed a violation of the conditions of your visa approval. Even if a residence permit is granted, it may result in future visa application/s being refused. 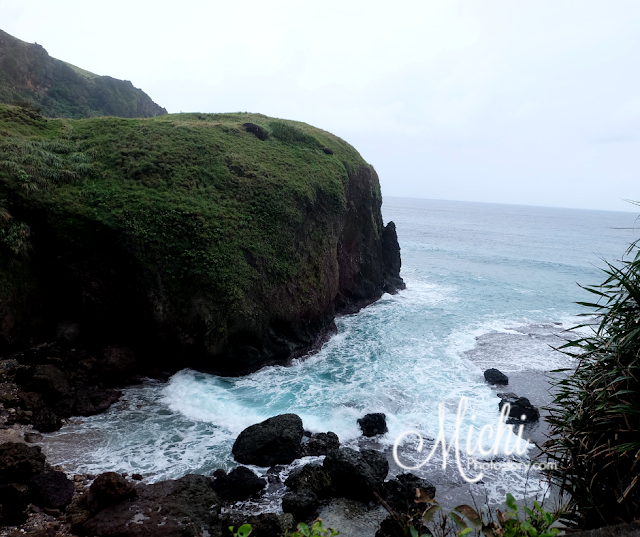 I was deleting photos on my phone and I saw my Batanes photos so this reminds me to finish this series. 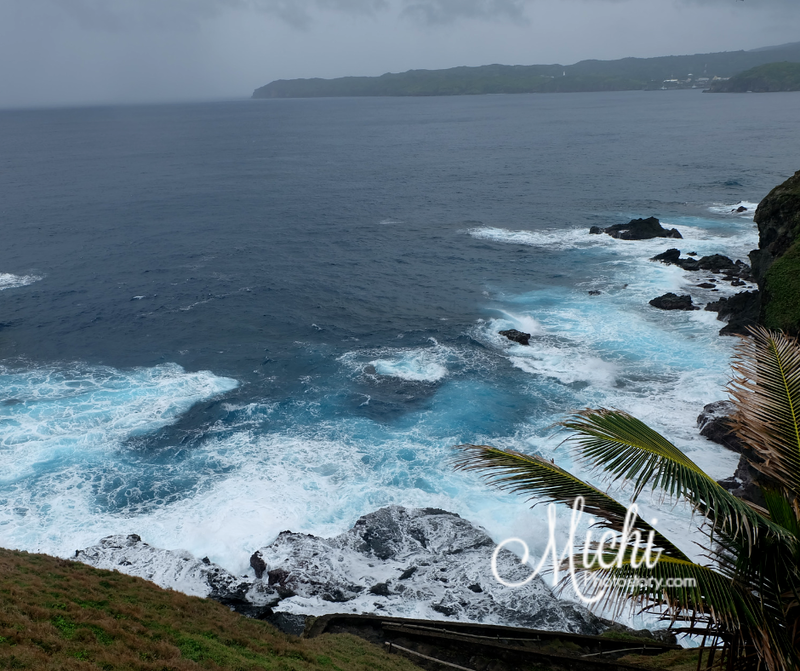 It took me a few months to finish the series because it is hard to choose photos and videos, for this South Batan Island tour, I have 644 photos and videos. Waah! 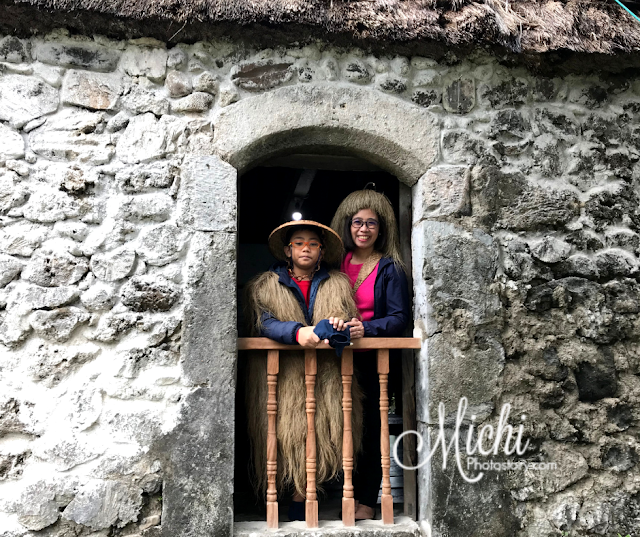 Anyway, if you missed my other posts, you can check the link below for Day 1 and Day 2 Batanes Tour. 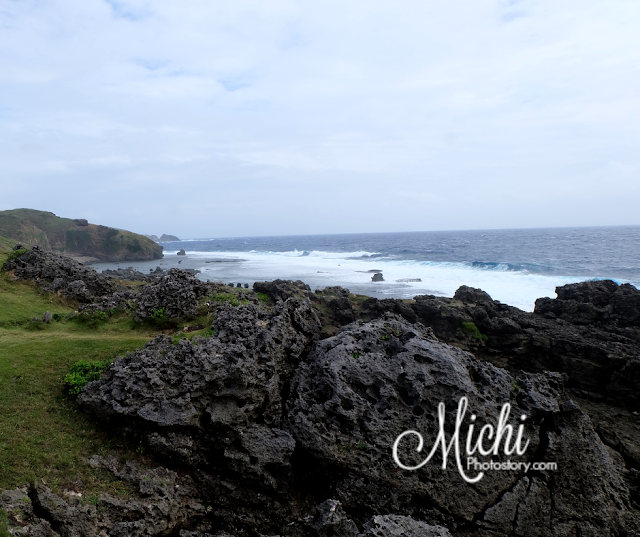 I thought that we really need a day to finish the South Batan Island Tour so we started our tour as early as 8:30AM but I was wrong. The list of tourist spots are so long pero hindi naman pala lahat babaan or I guess it depends on the tour guide din. We just passed some of the tourist spots so I only have pictures from afar and we stopped by dun sa mga popular tourist spots. So we were done before 1PM, hindi pa kami nagmadali niyan at 1 hour na nga kami kumain. So I think, doing compressed North and South Batan Tour is okay. 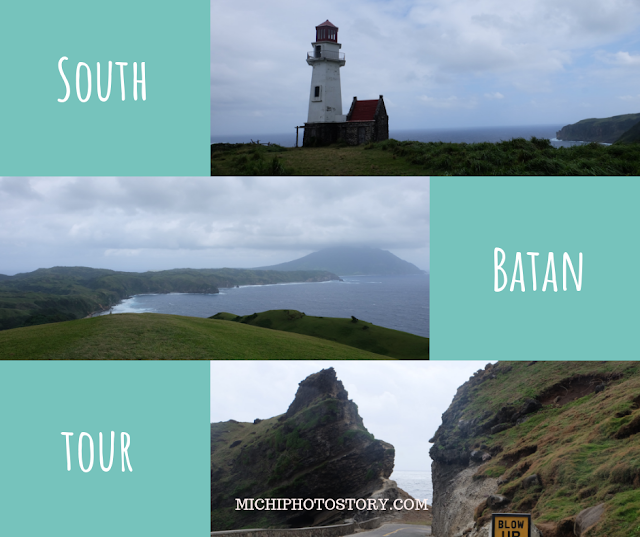 If you have a limited budget or if you have limited time in Batanes, you can do North and South Batan Tour in one day. Based on our experience, we only spent few hours visiting the tourist spots. For our Day 3, I was worried at first because it started to drizzle on our way to Chawa Viewdeck but we’re thankful because the rain stopped. Yehey! Nakisama naman ang weather up to our last day of tour. On our way to Ivana Port, I already saw Chawa Viewdeck, Mahatao Boat Shelter Port and lighthouse. I find it beautiful so I was really looking forward to our South Batan Tour so I can see these tourist spots, up close and personal. Ang ganda talaga sa Chawa viewdeck, you can see the West Batan Cliffs and the West Philippine Sea. Looking at the waves was relaxing but scary at the same time because the waves were strong. And because of the drizzle, we did not go down anymore because the staircase is wet and slippery. I was sad because we just passed the Mahatao Boat Shelter Port, gusto ko pa naman bumaba para magtake ng pictures. This port was constructed so in times of typhoon and strong waves, there is a shelter for the boats. I also saw a lighthouse from afar but I don’t know the name of the lighthouse. 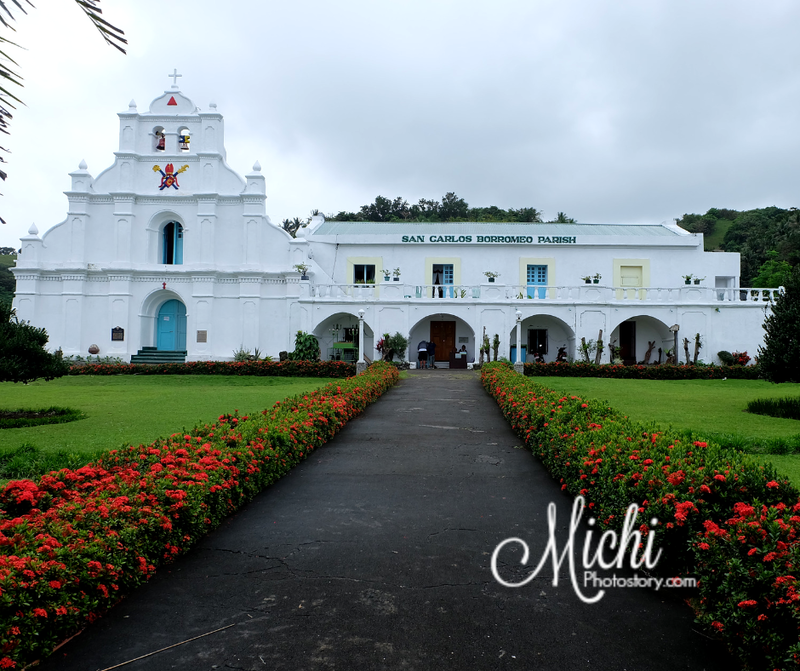 Next stop is San Carlos Borromeo Church, a church in Mahatao that was built in 1787 and was improved through the years. This is also the place where Katipuneros raised the Katipunan flag on September 19, 1898. 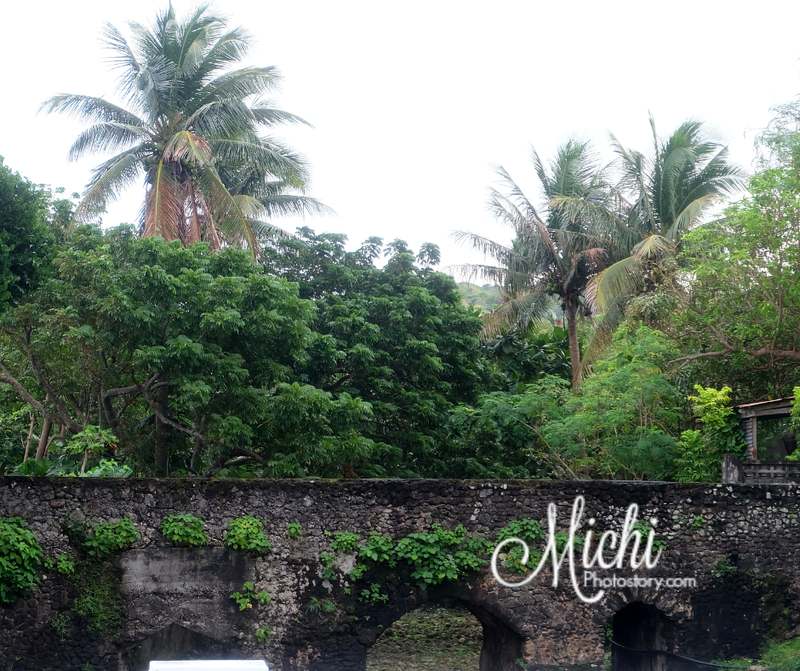 It is part of National Cultural Treasure since July 31, 2011. There is a blank book here where you can write your personal message. Within the area, you can see two old Spanish lamp post that serves as a lighthouse or guide to fishermen. We passed the Huhmoron, Homoron Blue Lagoon or Spanish Lagoon, it is famous because of the blue color of the water but during our visit, hindi siya blue. It is also called Spanish Lagoon because during the Spanish era, only priest or Spaniards are allowed to take a dip or swim here. But of course, now it is open to the public. We stopped by at Maydangeb White Beach, looking at the beach parang ang sarap na magswimming. 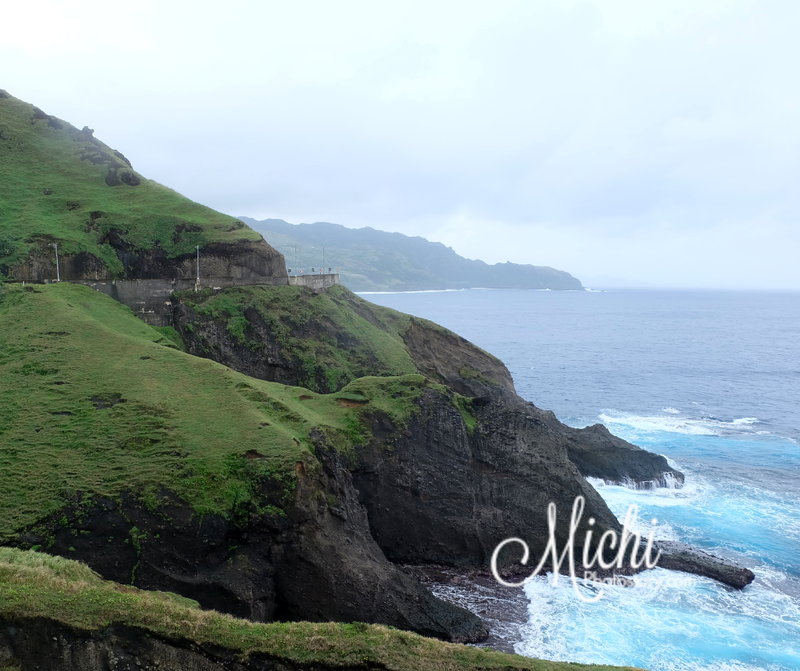 But it was cold and we did not go to Batanes to swim, so we have to continue our sightseeing tour. On our way to House of Dakay, we passed by Old Spanish Bridge in Ivana Town, it was built in 1800’s but it is still functional. You can also see other bridges in the area. House of Estrella or popularly known as House of Dakay is the oldest stone house in Batanes. It is one of the stone houses that survived after the September 13, 1918 earthquake (8.3 magnitude). 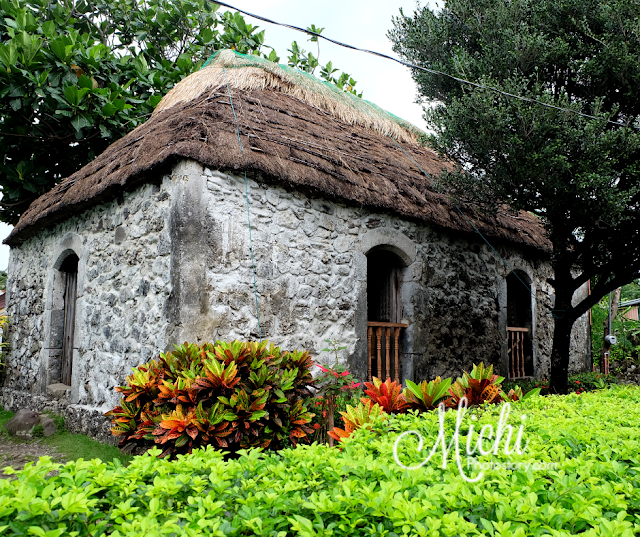 The house is still in its original form except for the cogon roof because it is replaced every 25 to 30 years. The kitchen and comfort room are few steps away from the house. You can also rent a Vakul and Kanayi Vest for P20. Few steps away from House of Dakay is a souvenir shop so you can already buy souvenirs there. Then we moved to old Ivana Port, in front of the port is San Jose de Ivana Church. 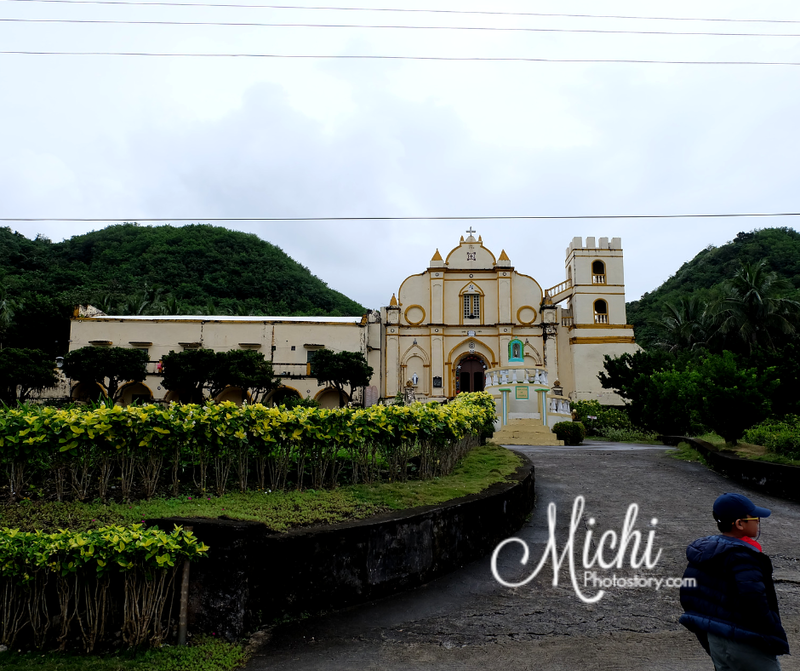 Batanes is a small province but I was really surprised that everywhere we go, there is a church for the Ivatans. It was built in 1787 to serve the people of Ivana, Sabtang, and Uyugan but when Sabtang residents moved back to Sabtang, they closed some parts of the church. From the church, we walked to Honesty Coffee Shop. It the famous coffee shop because the store is unmanned. Yes, there is no staff that will assist you. If you want to buy or eat, feel free to serve yourself but don’t forget to pay. 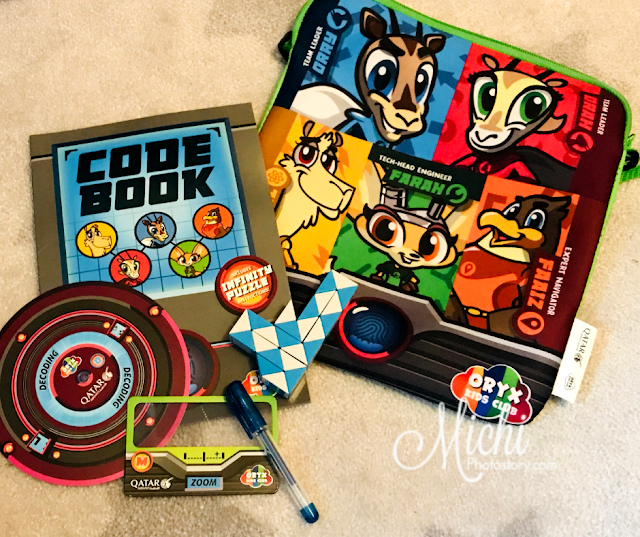 There is logbook where you need to list the stuff that you bought and drop your payment at the dropbox. 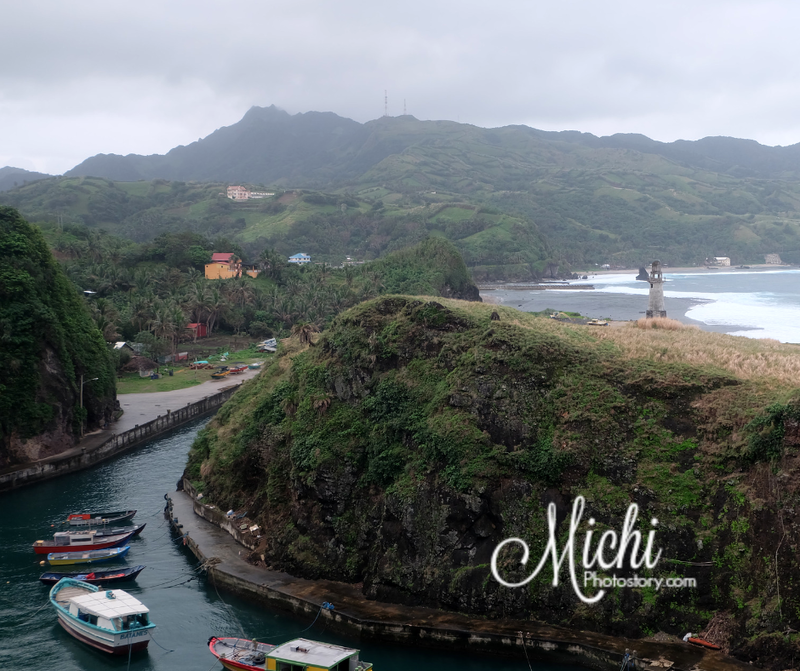 According to our tour guide, palaki ng palaki nga daw bahay ng may-ari ng Coffee Shop because it is indeed the most visited tourist spot in Batanes. Maybe, even you don’t have to plan to buy something, mapapabili ka just to experience buying something at the Honesty Coffee Shop. 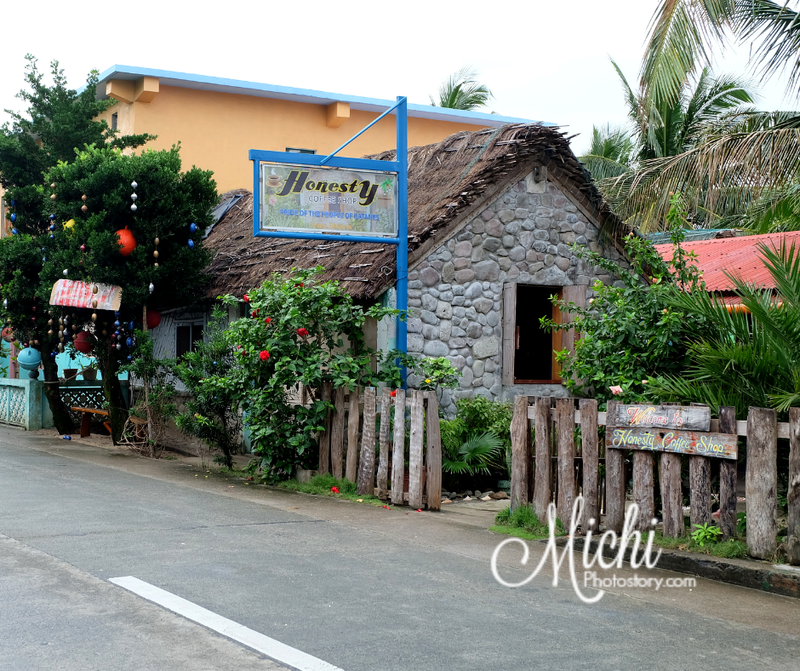 It is good to know na nagwork ang Honesty Coffee Shop in Batanes but sad to know na hindi siya nagwork sa mga ibang gumaya like in Metro Manila. Bilang na lang ba ang honest sa Metro Manila? After exploring Ivana Town, we went to Uyugan Town. 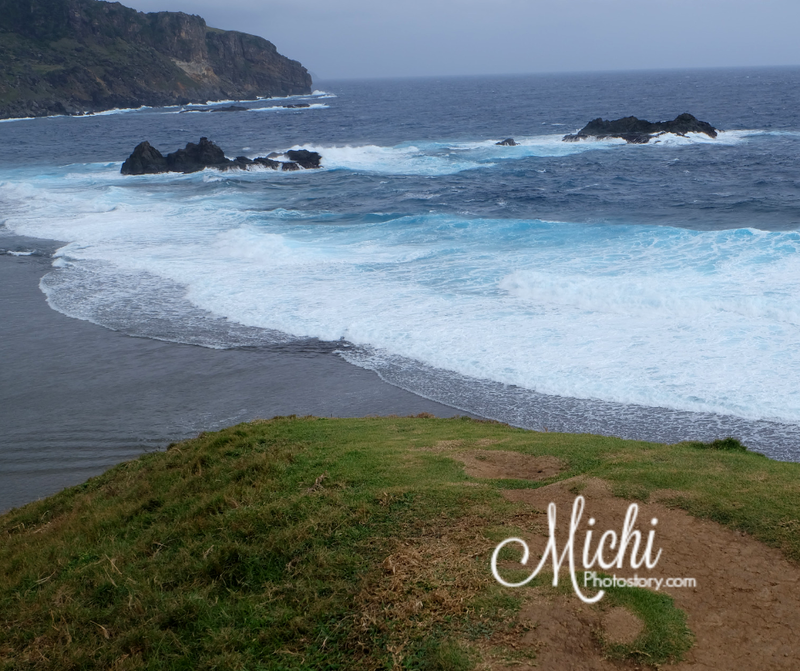 Our first stop is Muchong Viewpoint, another rolling hill in Batanes where you can enjoy the seascape. We passed by Sitio of Songsong, which is also known as ghost barangay because the area was abandoned after the tsunami hit the town in the year 1954. You can still see the roofless stone houses but some of the ruins are already occupied. People try to restore and maintain the stone house. 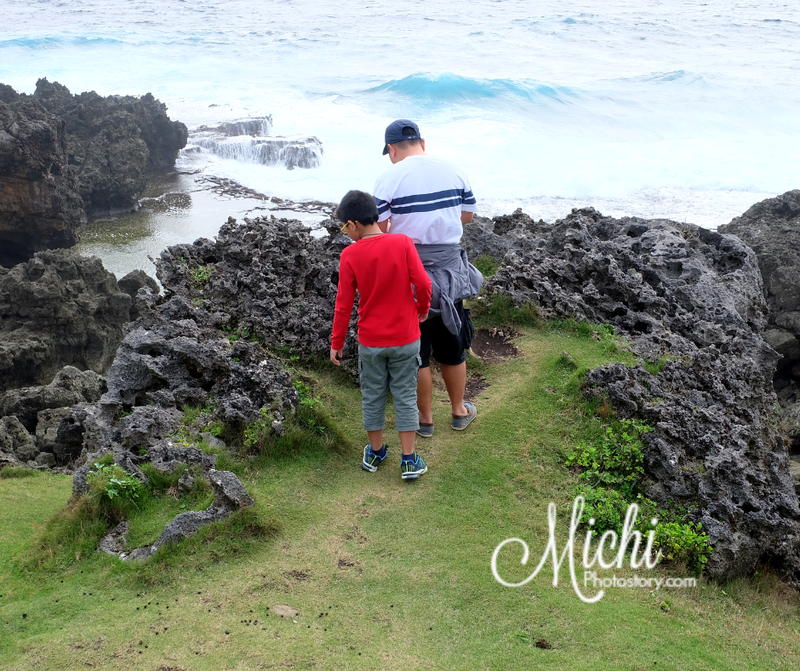 We stopped by at Alapad Pass and Natural Rock Formation, it is another popular tourist spot because it is where Richard Gomez and Dawn Zulueta shot their movie “Hihintayin Kita sa Langit”. You will enjoy the different rock formations here, the two cliffs separated by the road, the Pacific Ocean view. 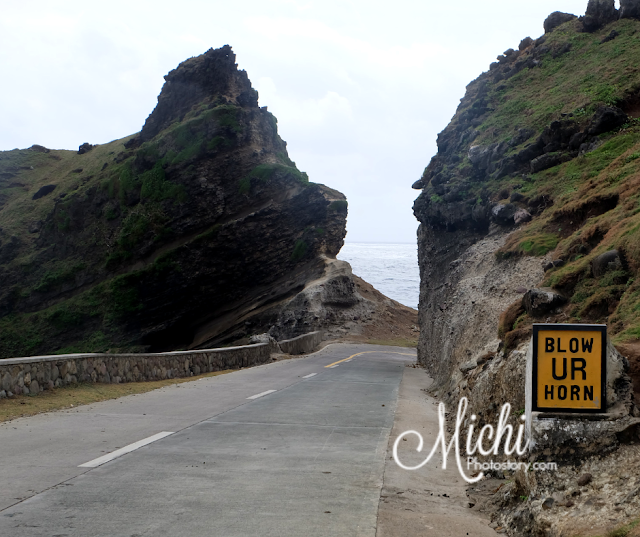 In Batanes, you will always see “Blow UR Horn” sign if you will pass narrow curve cliff, hindi pa uso text lingo may ganung sign na sa Batanes. From the Madangay Cliff, you can see the OLD Loran or also known at Little America. It will be reopened as the National Museum. It was only quarter to 11AM, but we’re almost finished with our South Batan Tour. Lighthouse and Marlboro Country na lang ang kulang. We had early lunch at Nanay Ching Restaurant. 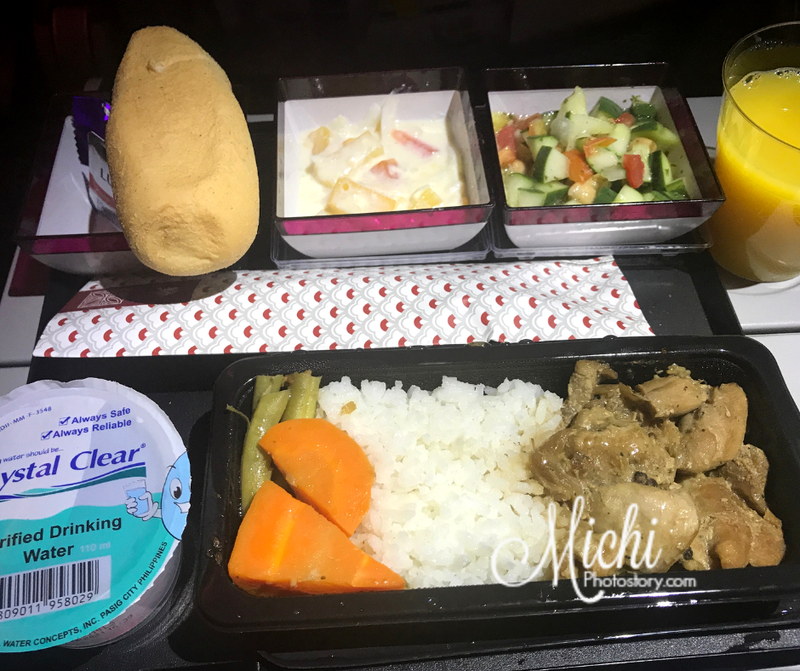 It is park of our tour package, we had nilagang pork, chicken afritada, pork adobo, chopsuey, rice and camote salad. The serving was huge so we took our time eating at mahaba-haba pa oras namin. After one hour, we continued exploring South Batan and off we went to Racuh A Payaman or also known as Marlboro Country. 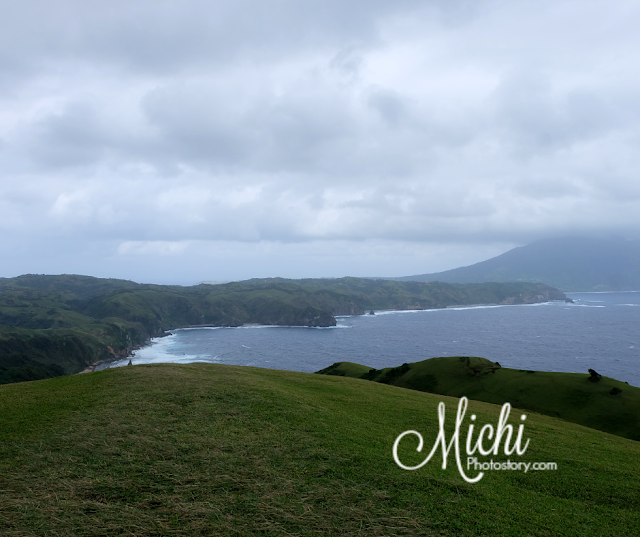 It is a protected area where you can see cows, carabaos, hills, mountain, fields, sky, and sea. 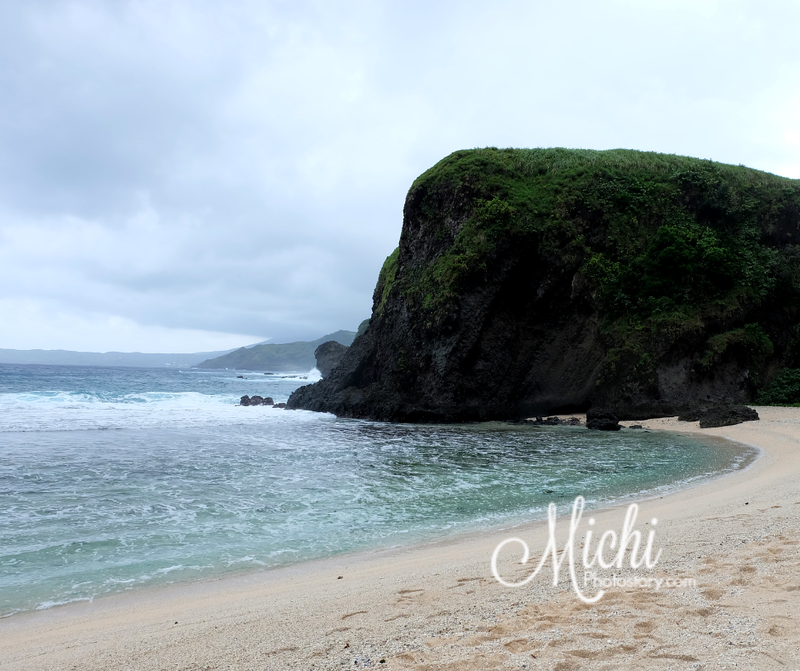 It is indeed a picturesque place and sometimes I wonder if this place is really in the Philippines. 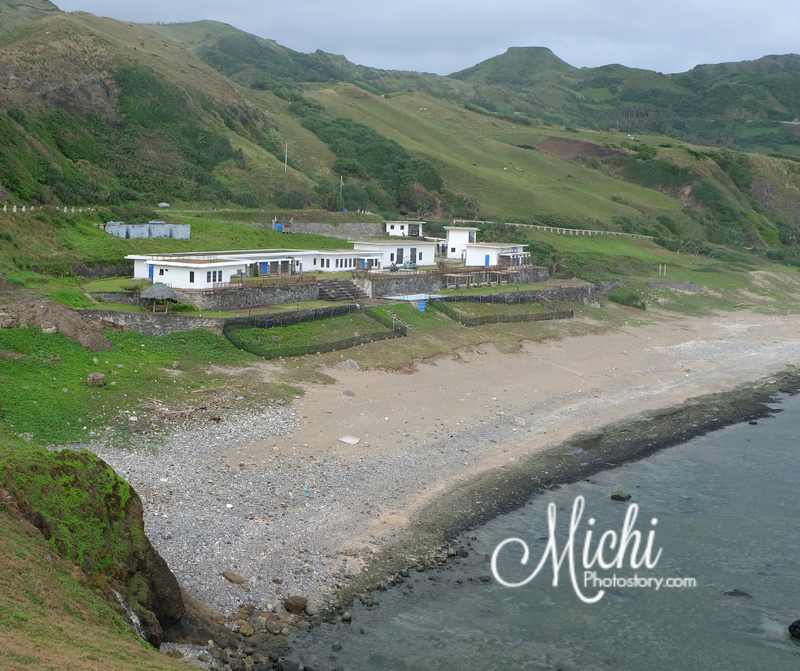 Breathtaking Batanes it is, you can see the Tayid lighthouse at the left, the Mount Iraya at the right, and enjoy the view of Pacific Ocean. It was windy so it was hard for me to walk kasi feeling ko liliparin na naman ako. But even I’m afraid, I try my best to walk so I can enjoy the view too. Kung hindi lang mahangin, we can stay longer here. 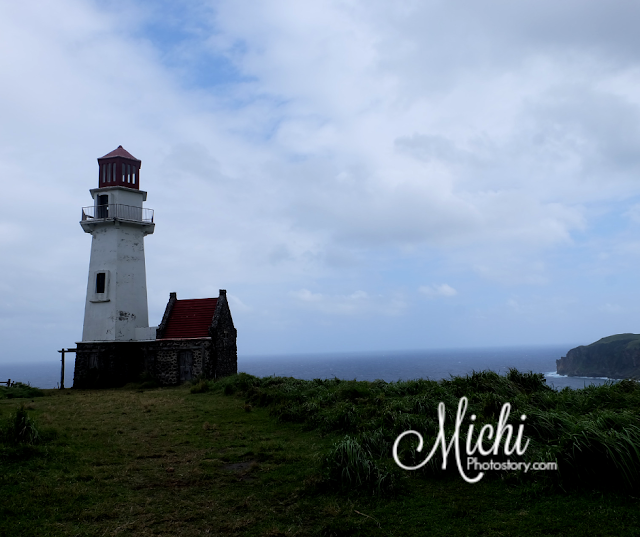 Our last stop of the tour is Tayid Lighthouse, it is one of the three functional lighthouses in Batanes that was built in the 2000s. It is hexagonal shape lighthouse that guides the seafarers in the West Philippine Sea and the Pacific Ocean. The lighthouse was closed so we were not able to check the interiors. On our way back to the hotel, we saw the Mahatao Wind Turbines. It is not operational so nakababa lang. Since we are early, our tour guide dropped us at Tawsen Souvenir Shop so we can buy some souvenirs or pasalubong. We had dinner at Hudzan’s Cafe & Catering, we ordered Buttered Garlic Shrimp, Burger Steak, Crispy Beef Ribs, Rice and Softdrinks. It is part of our tour package so we did not pay anything. 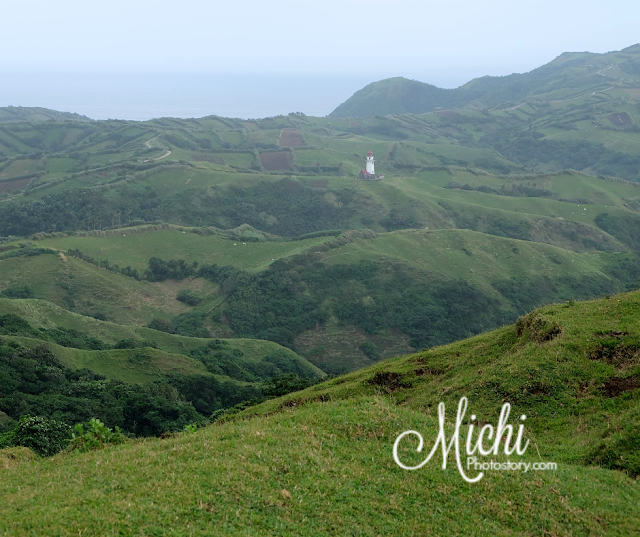 That’s the end of my Batanes series. It is a hassle-free and memorable experience for us. Going to Batanes is not cheap but I have no regrets in visiting this province. I’m happy that I was able to cross this out on my bucket list and I am proud to say that we have this breathtaking place in the Philippines. 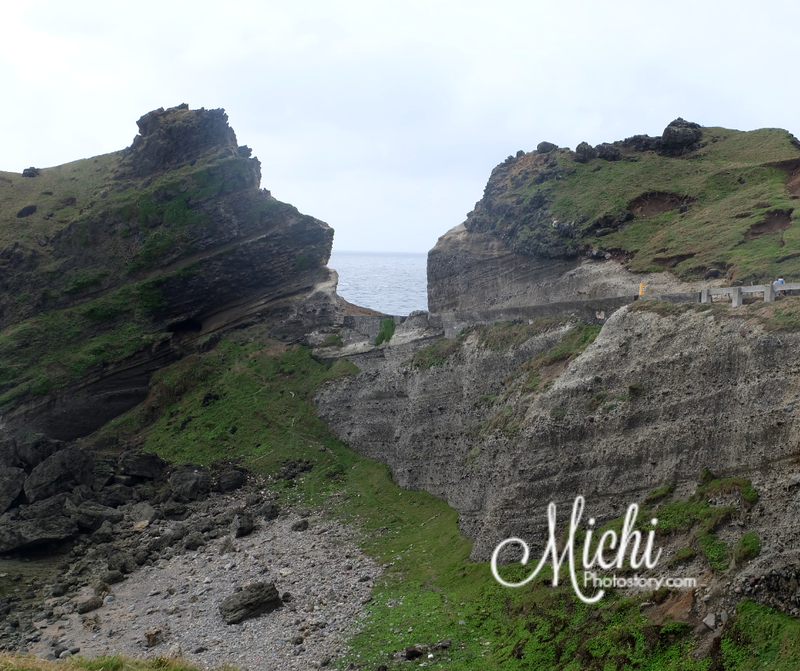 We paid P7200 per person for our 3 Days Tour in Batanes, this includes the tour, lunch and dinner. It is is a little bit expensive for a private tour but if you want to save money, you can check my post here. You can also book your tour at Klook.